The tension over helmets, between safety experts and players, occurs in every sport at every level. Like I've said before, it often takes a tragedy for our behaviors to change. 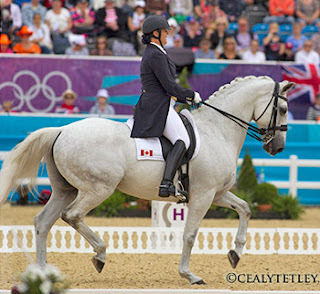 The United States Equestrian Federation required safety helmets for dressage riders only after an Olympian was seriously injured in a horse accident in 2010. Even then, it took a year between accident and policy change. 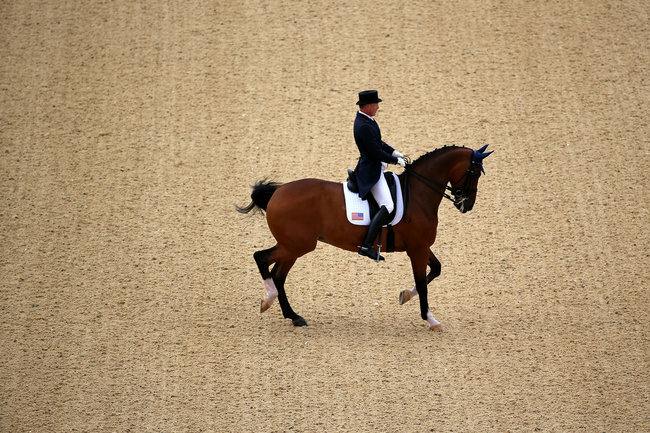 (In fact, I'm not sure why American riders aren't wearing hard hats at the Olympics-- perhaps the ruling only applies to U.S. competitions? Can anyone help me out?) What Jacqueline Brooks has shown, however, is that we don't always need tragedies or policies to force us to choose tradition over safety. We can make the choice ourselves. There are no special Muppets, music, or comedy to this public health story. Brooks simply embodies it head on.